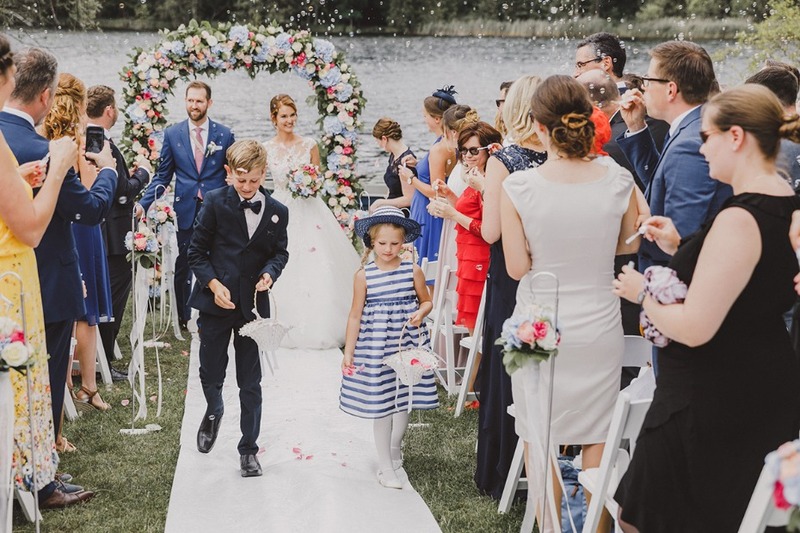 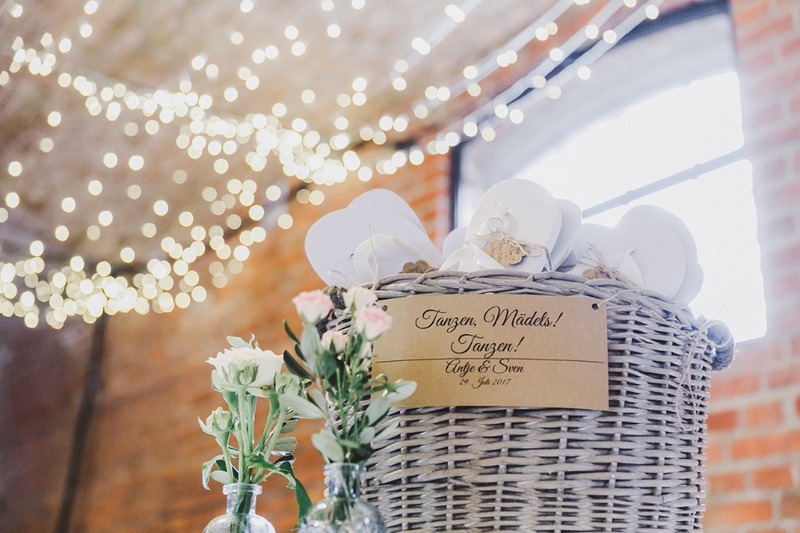 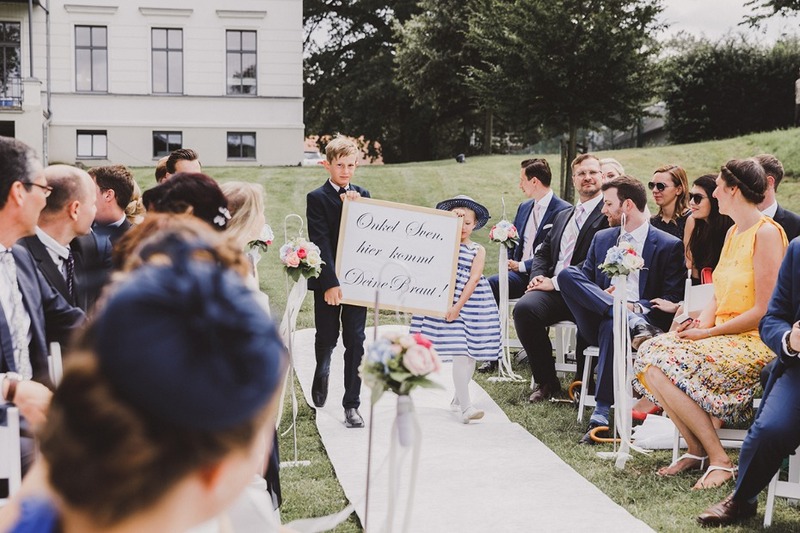 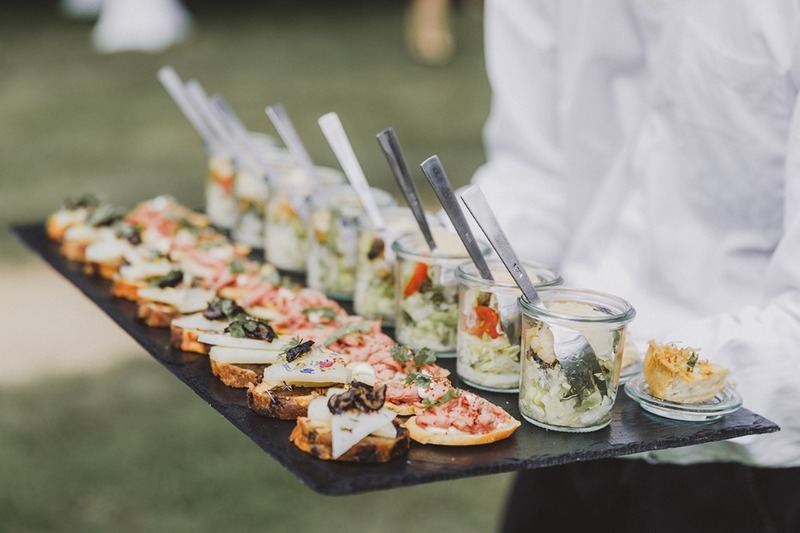 This beautiful wedding day in Nauen, Germany has us dreaming of Summer garden parties. 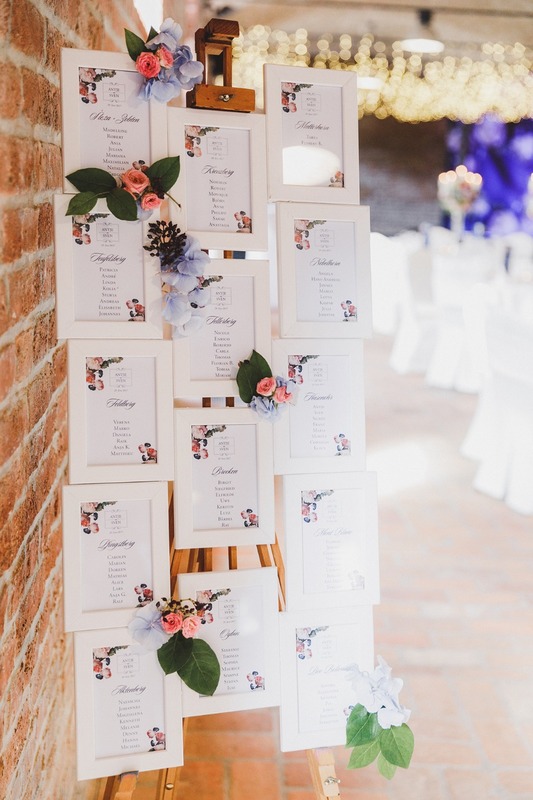 The idea of drifting around a warm grassy venue with the sweet scent of flowers all around as you sip on tea or an elegant cocktail sounds absolutely fantastic. 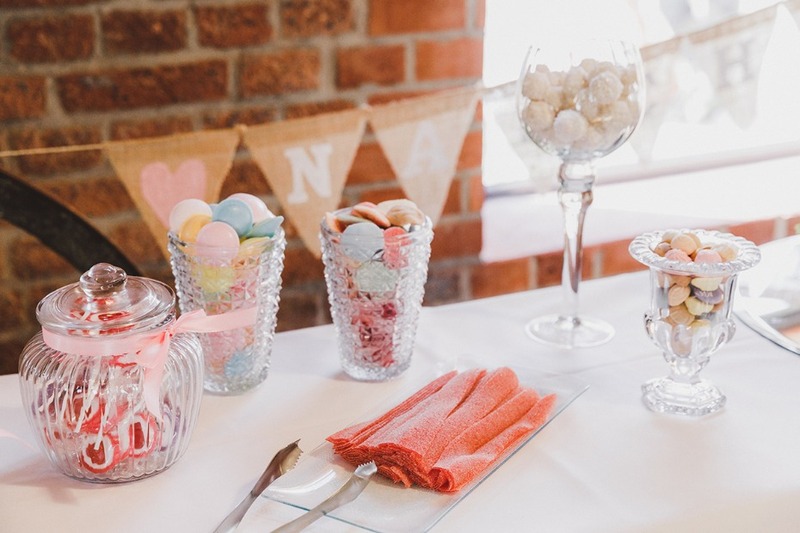 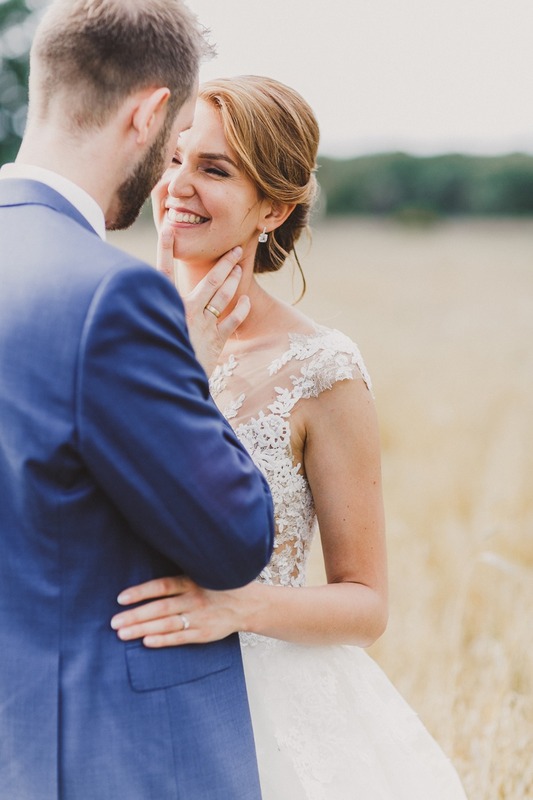 Antje and Sven's big day has all of this as well as a full reception full of fun. 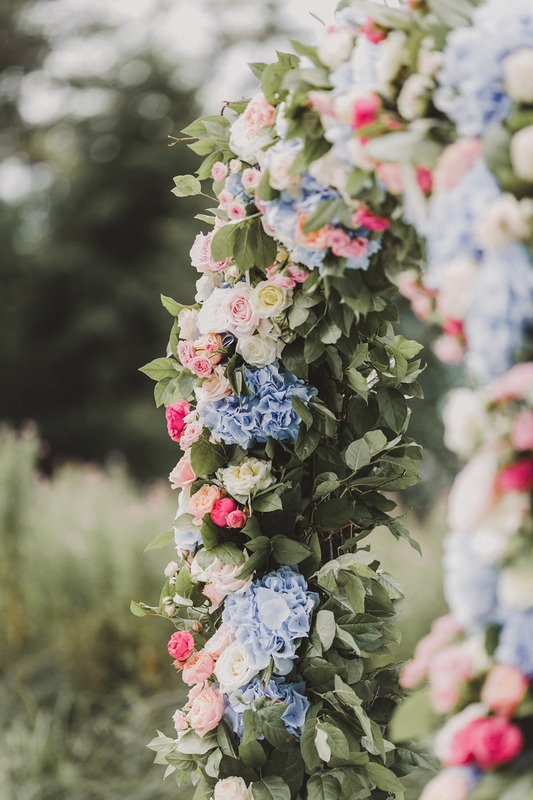 Keep scrolling to see more of this stunning day. 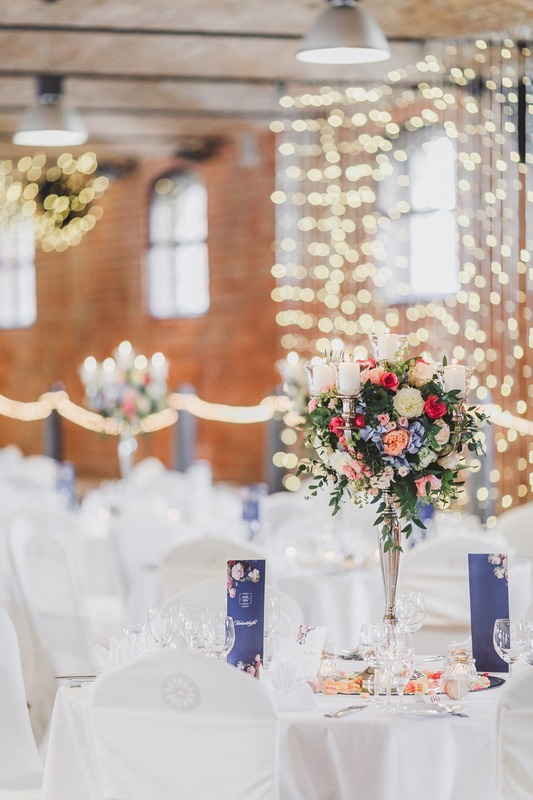 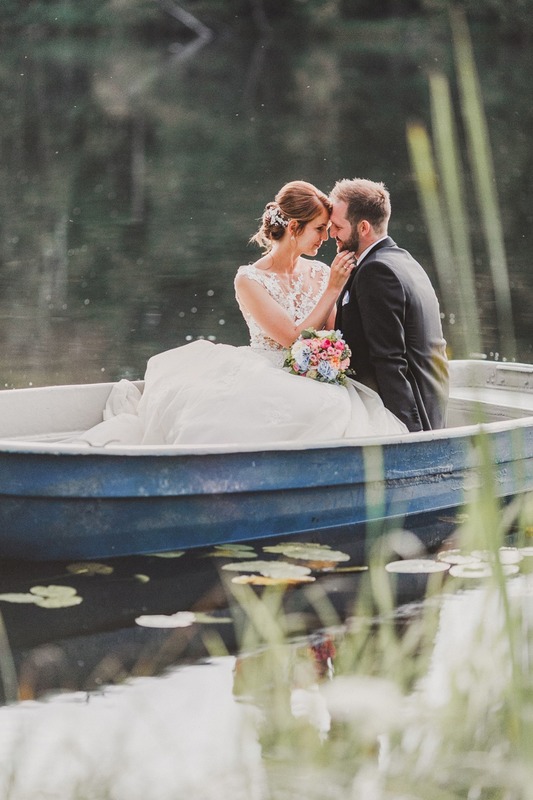 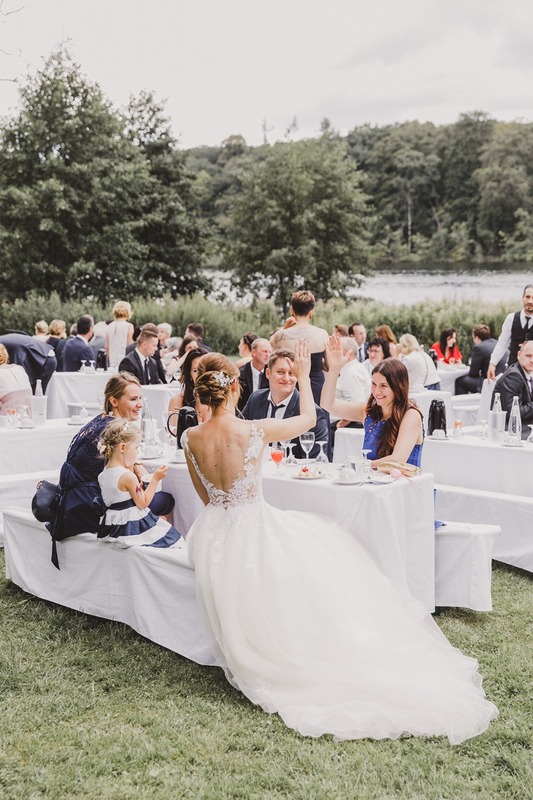 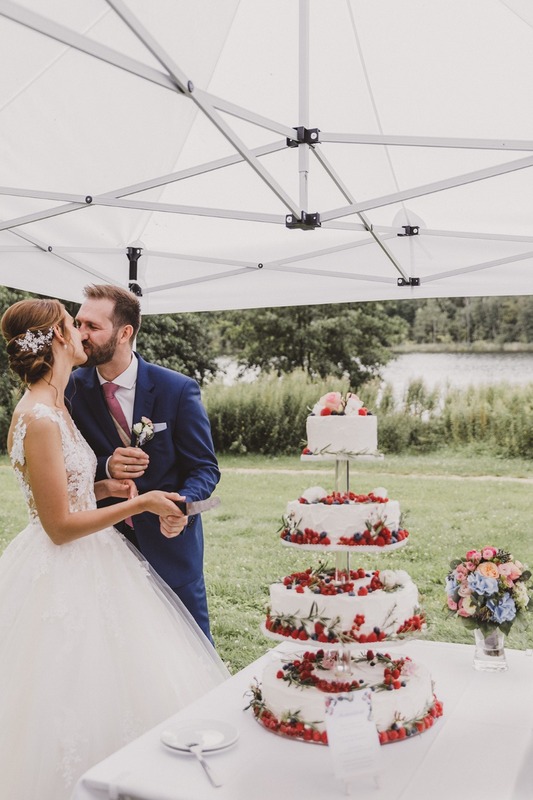 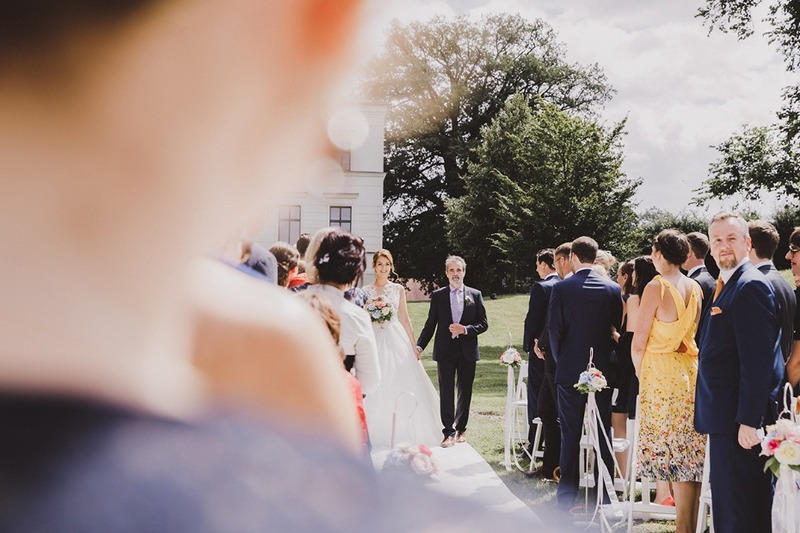 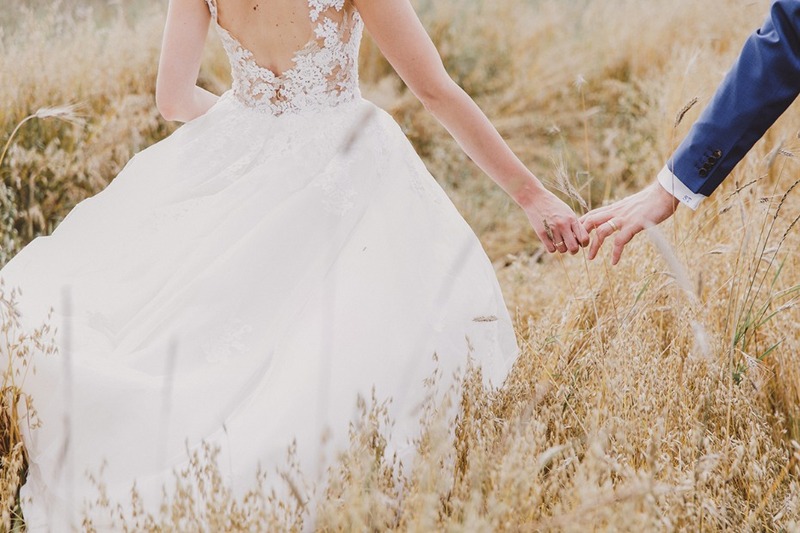 You can catch every single moment of the day thanks to the beautiful photos taken by Hochzeitslicht in our full gallery. 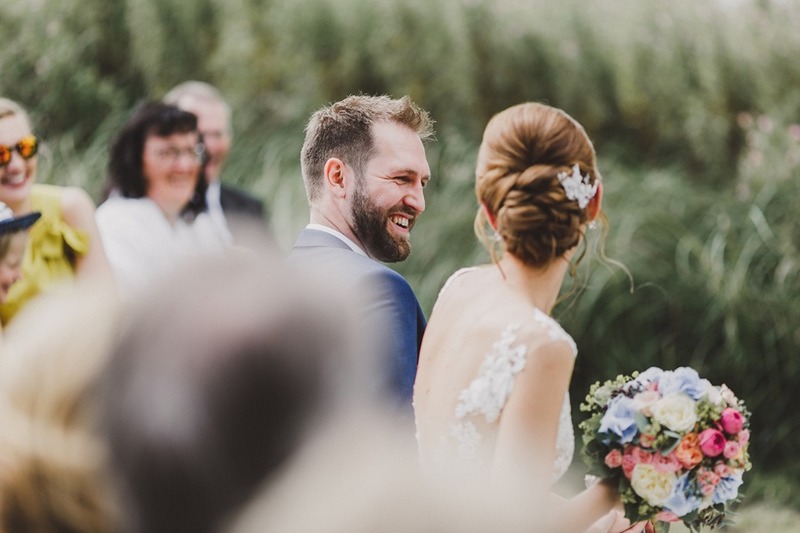 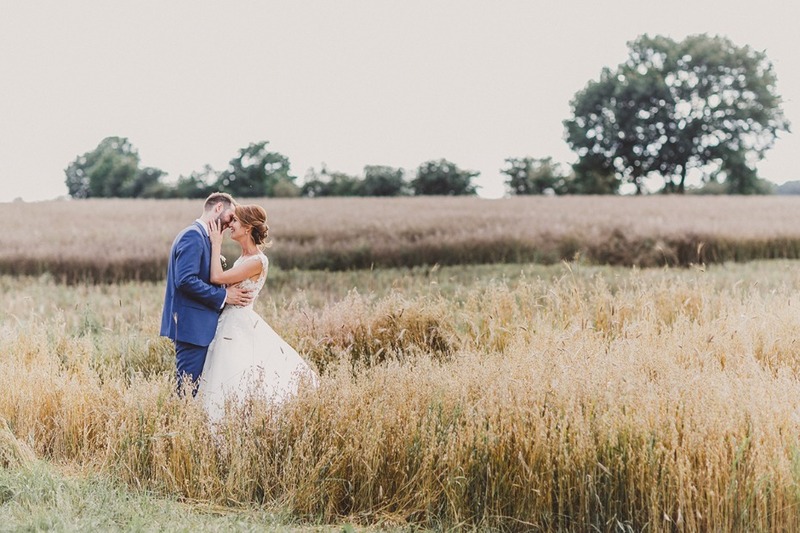 Pure elegance, attention to detail and rural charm could describe the summer country wedding of Antje and Sven in the charming location “Landgut Stober” in Nauen. 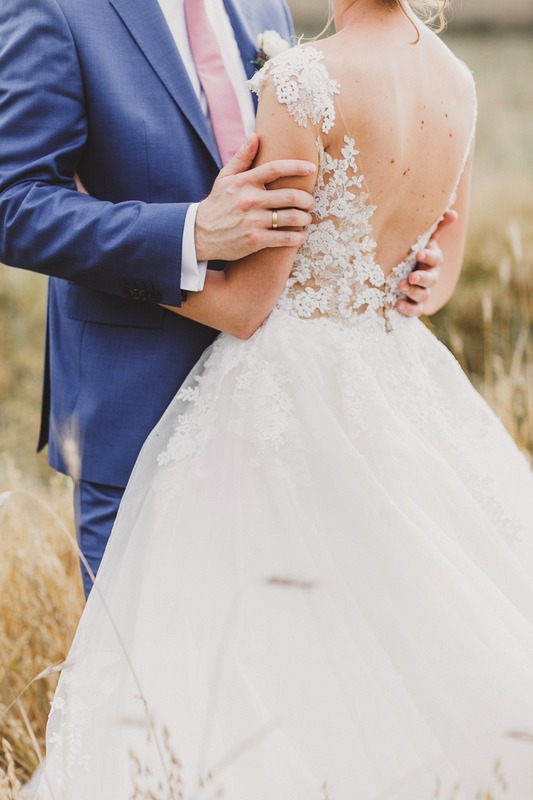 The first tears of joy were already flowing at the Getting Ready. 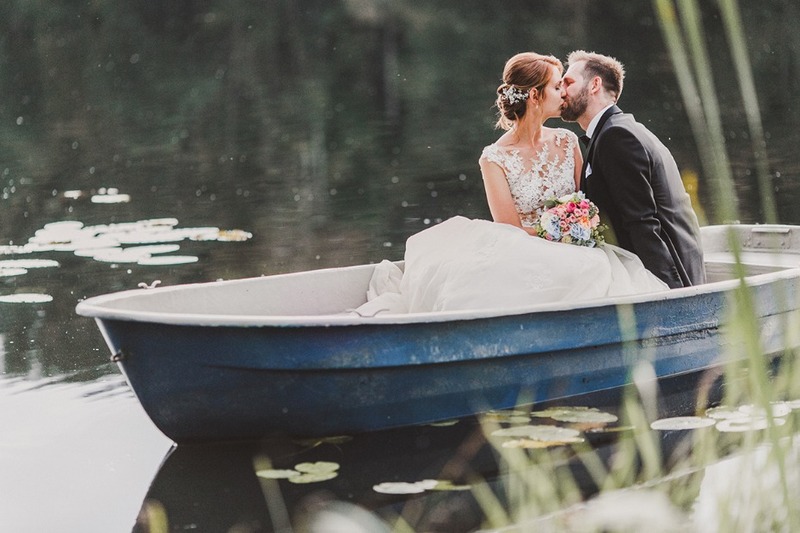 The wedding took place outside quite romantic in front of the lake. 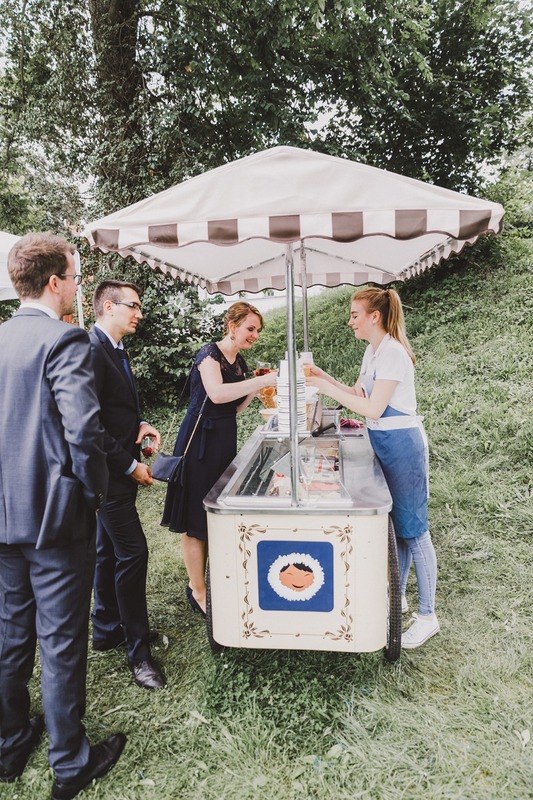 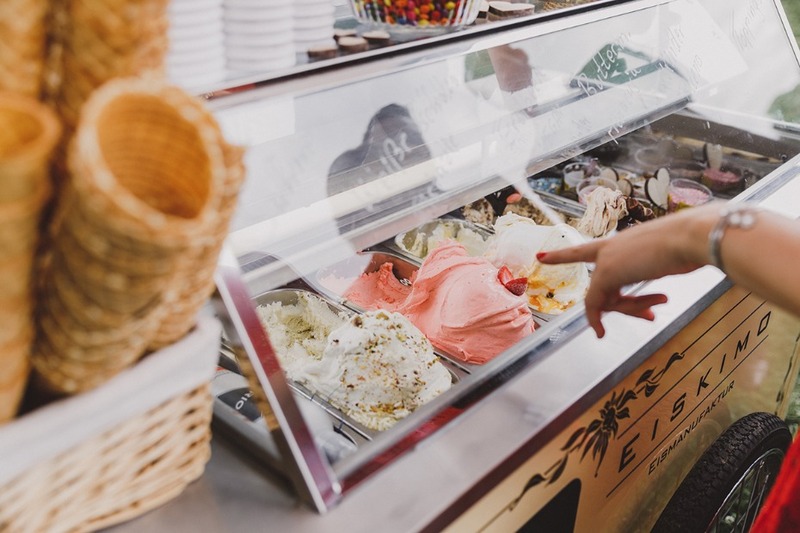 Antje and Sven had organized an ice cream van for their guests and booked kids entertainment for their little guests. 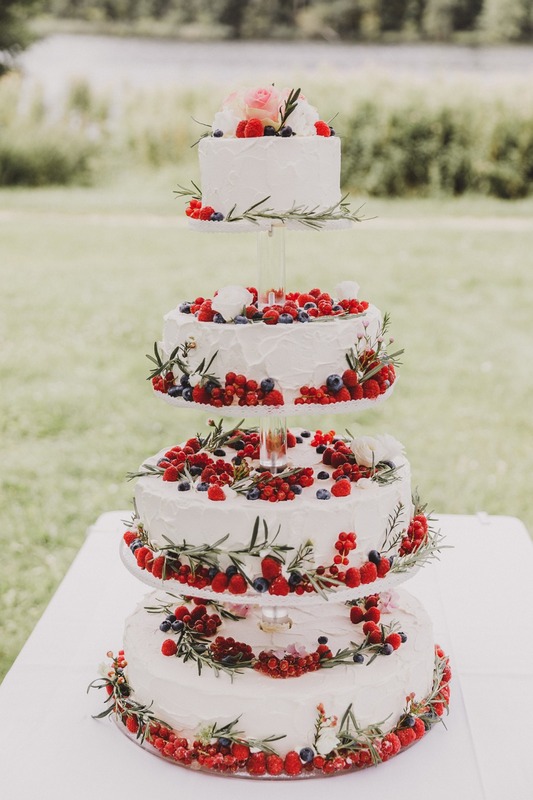 The wonderful wedding cake with four different fillings and juicy-fresh berries was the absolute eye-catcher and delicious. 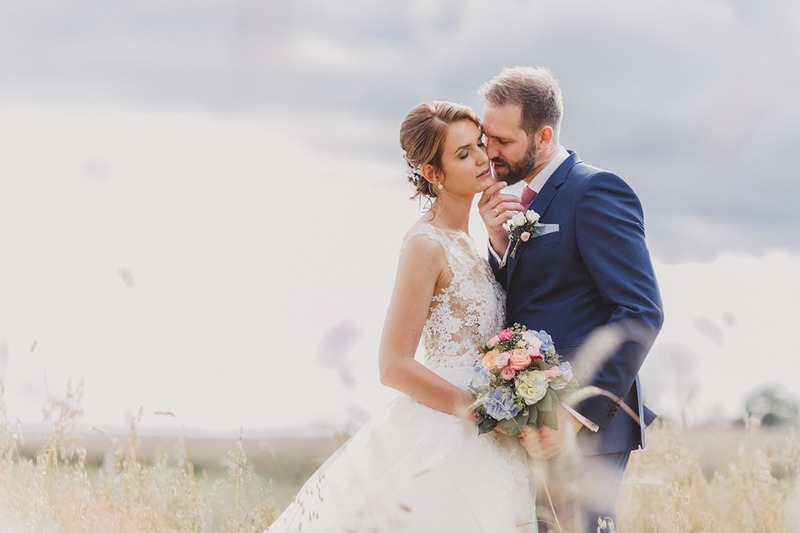 During the coffee and cake, Antje and Sven left their guests for a moment to enjoy a moment with wedding photographer Melanie in the dreamlike landscape for the couple photo shooting. 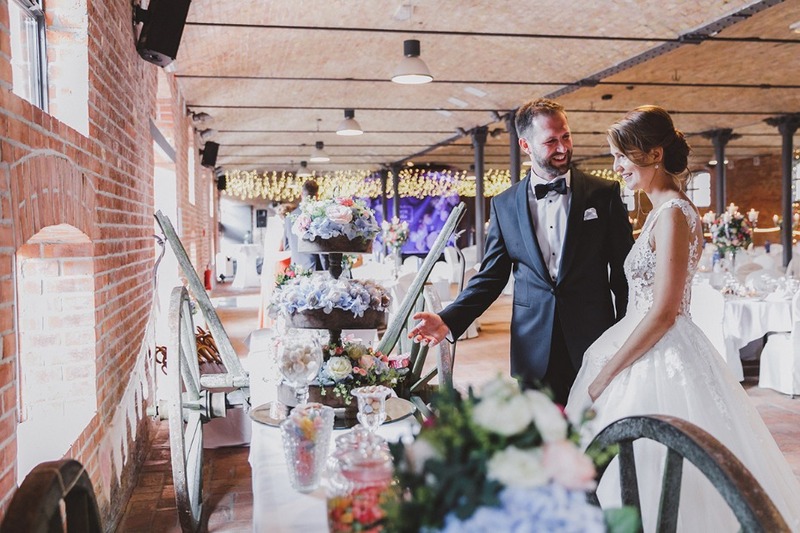 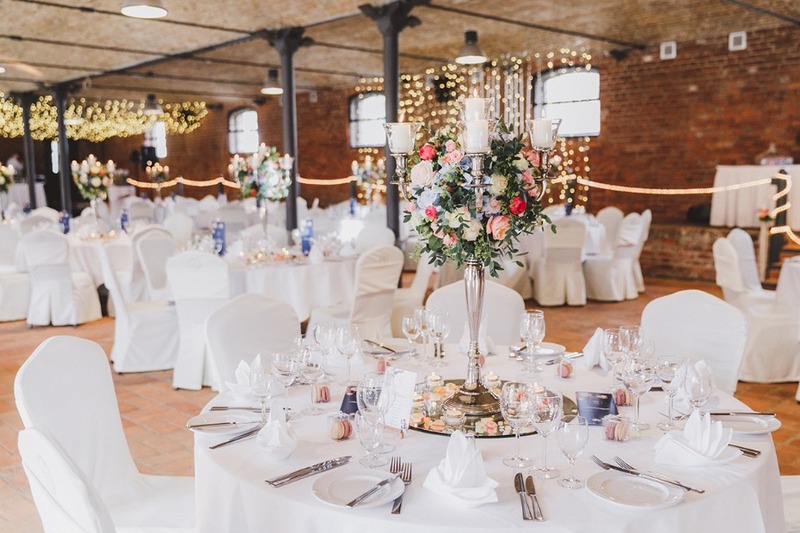 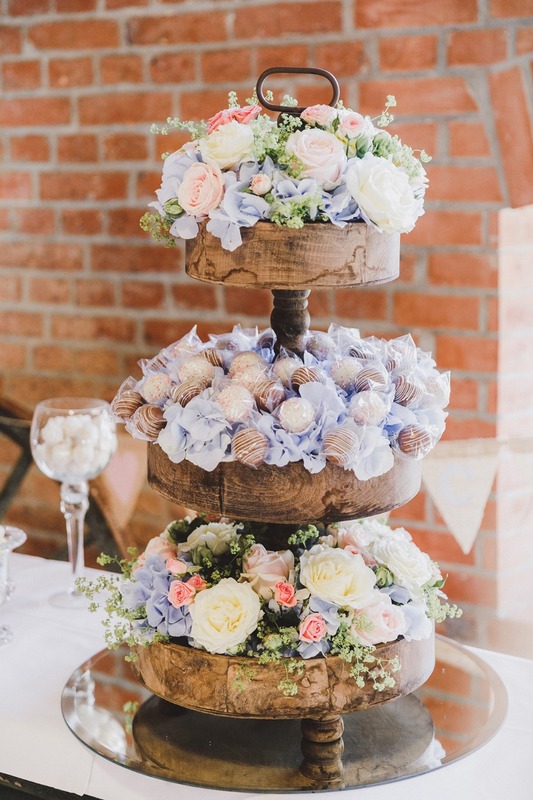 For the decoration, the bride and groom put on an exciting mix of classic elegance and summer-rustic flair, which underlined the charm of the location, a former cattle stable perfectly. 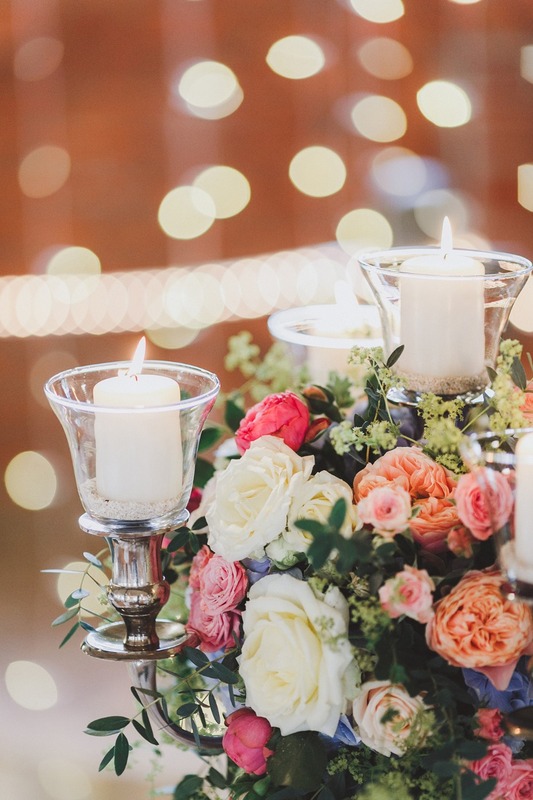 Especially beautiful were the many lights in the room and the flower decoration in the favorite colors of the couple. 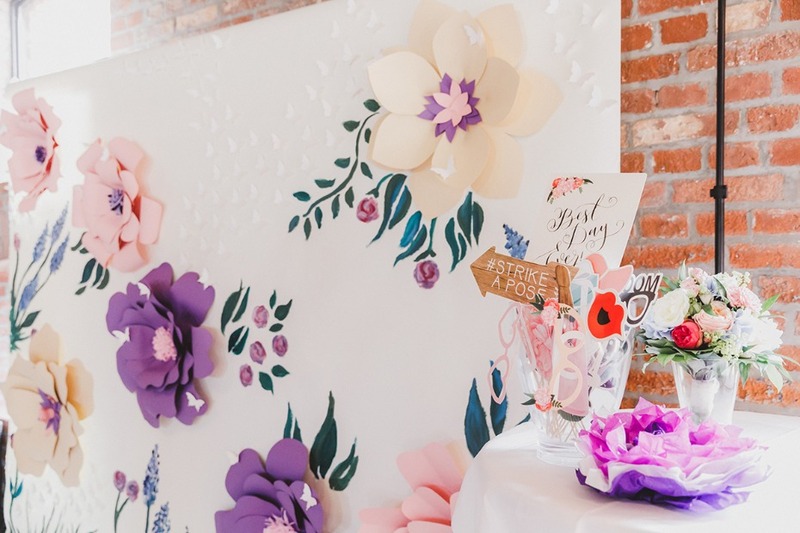 As photobooth background one of the best girlfriends of the couple made large colorful flowers. 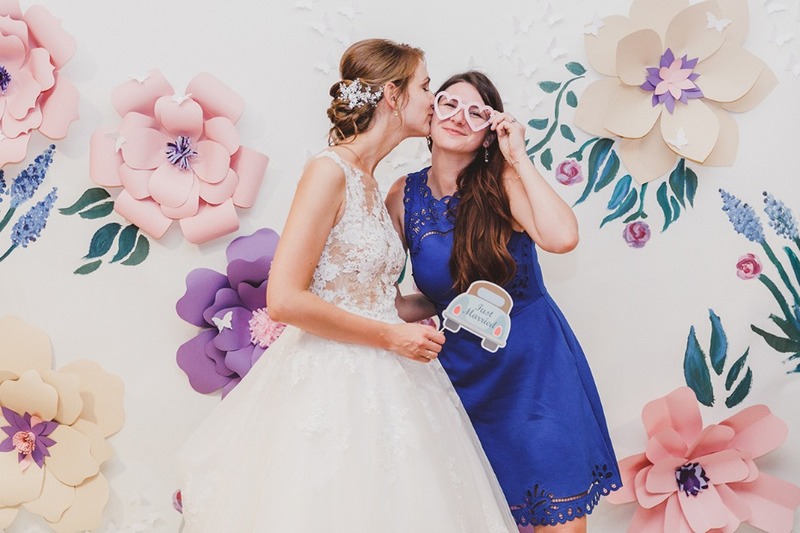 In the evening the guests took countless funny photos and everybody danced long into the night. 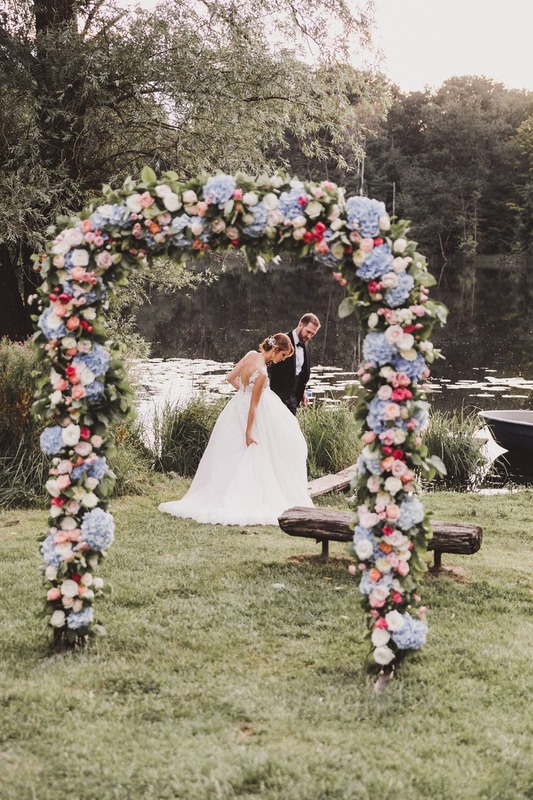 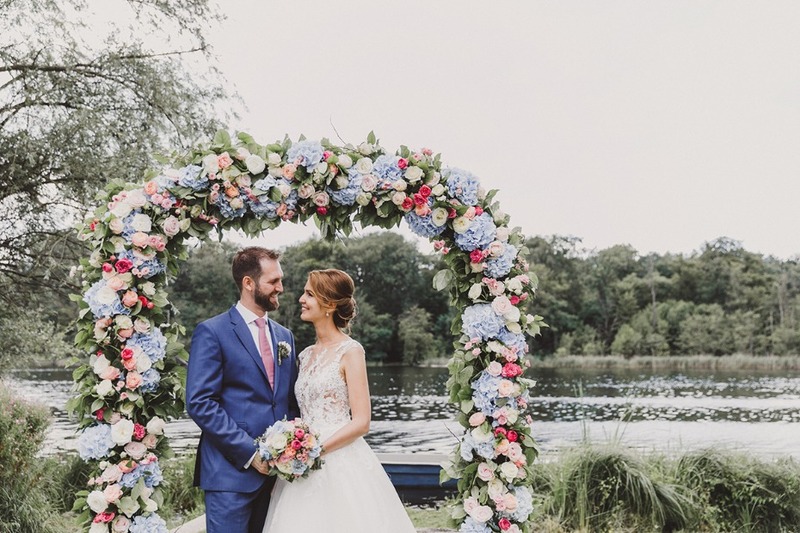 Get a closer look at this posh garden wedding by watching the fabulous film created by Hochzeitslicht below.